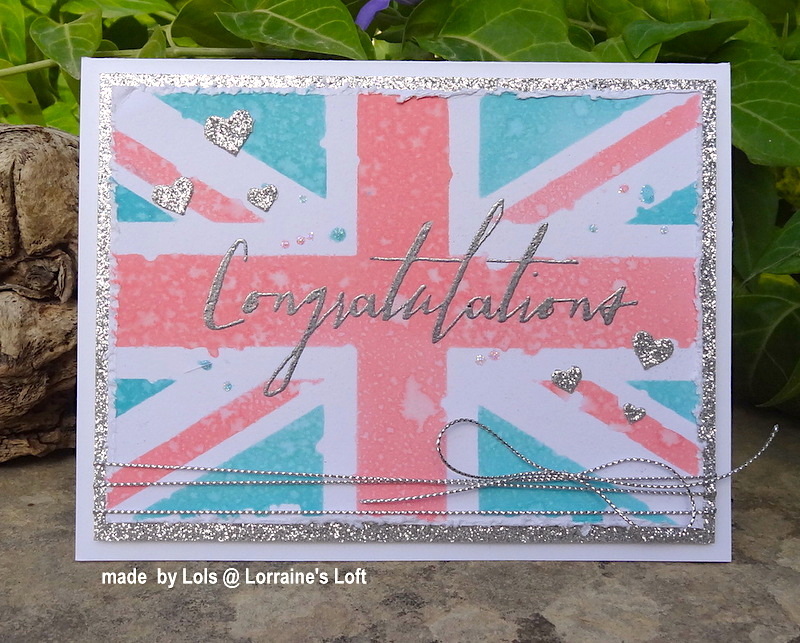 With most of us having Royal Wedding fever I took a break from watching TV to make a quick congratulations card! 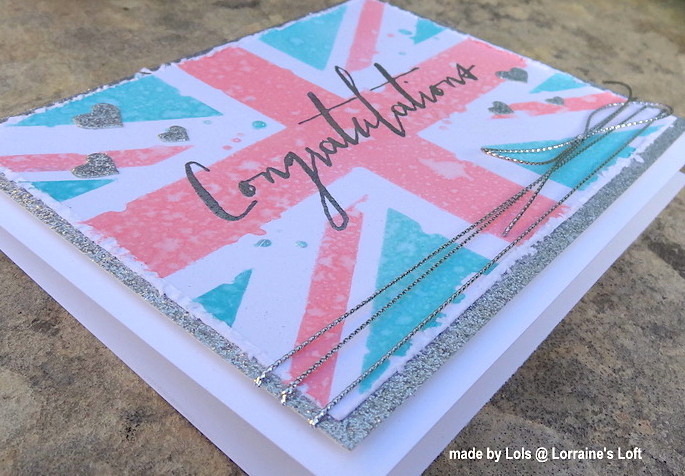 I used a Tim Holtz Congratulations Sentiment and heat embossed in silver. I finished with some die cut hearts and silver string!